David came early and we drafted. I took a number of early blue fliers, but then David drafted about 6 green anti-flier spells. I ended up with WR and some U. David played GB, naturally. I had great mana in the first game, but couldn’t bring up anything useful and he killed anything that came up. In the second game I did a lot of damage to him, but he killed all of my stuff, left himself with one big guy and played an enchantment that would kill the first non-black creature played by either player. I then killed his big guy and we sat at a standstill for a while (his deck had mostly green creatures) until he was willing to sacrifice a creature to get it out of the way. This let me bring in a few of my own creatures and a spell that eliminated all of his blockers for the win. Nadine likes this new word/induction game. I like it, too, though I don’t know how many times I will enjoy playing it. It’s especially a challenge with non-native English speakers. 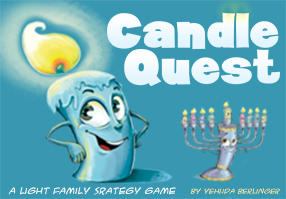 Nadine writes: Shalom was giving me clues, he hadn’t played before so made a few errors, including mixing up a card position. We both guessed one of the other team’s words. First play for me and Shneur, second for David. Apparently, David’s first game (played with Nadine) went very differently. In this game, you have to be the first to get to 20 points. Points are gained by fulfilling orders for wines of specific colors and minimum quality (i.e. playing purple cards), or by taking certain actions after building certain buildings (1 point at a time), or by playing certain blue or yellow cards (0-3 points at a time). Each round consists of four (really two) phases. You get workers for the whole round, which you can use in either phase 1 or phase 3. In phases 1 and 3, you can buy green or purple cards, play green, purple, blue, or yellow cards, produce grapes from your green cards, sell grapes for money or (far more beneficially) produce wines from your grapes, and – astoundingly – buy new workers (you can have up to 6). In a three player game, there are two spaces for each action, but a) the first player at each action essentially doubles the action (or gains +1$ or pays $1 less, which is about a 50% bonus) and b) each player has one grande worker that can take any action, even if all the places for that action were already taken. In phase 2, everyone gets either a yellow or blue card (or two, if you have built a certain building), and in phase 4, everyone’s grapes and wines increase in value and some people get income. A grape’s initial value depends on the strength of the green cards you have played, and a wine’s initial value is a simple translation of the grape’s values. So it makes no difference when you produce wines from your grapes, since they both increase at the same rate. The only consideration is that you have to buy two buildings before you can produce/store wines of certain values. There is a turn order chart, selected starting from the “first player” each round, which rotates clockwise. The “go first” position receives no bonus but goes first in both phases 1 and 3. The “go last” position receives an extra worker. All other positions receive essentially a specific bonus equivalent to the second worker in some spot. Going first is by far the best option, since you will get several bonuses (at least two in both phases 1 and 3). It is possible that we played with an incredible amount of group-think, but for the life of me I can’t see how obtaining new workers as quickly as possible isn’t BY FAR the best option. Thereafter, making money and building all of the essential buildings seems to be BY FAR the next best steps. This is highly assisted by getting lucky with yellow card draws. Perhaps someone who runs fast to planting, harvesting, producing, and fulfilling orders MAY be able to end the game quickly enough to give the above strategy a run, but it seems highly unlikely, because having more workers is easily obtained and you can then do everything that that other guy is doing starting from turn two. This made all of the spots for obtaining money, building buildings, and training new workers filled by workers completely in the first few rounds – and then completely useless thereafter. At which point the game came down entirely to how good you were at picking good cards. The cards in this game are insanely varying in power and usefulness, and what you pick – assuming basic game play competence – determined your end score. I picked well and won by a large amount. David picked poorly and lost. Shneur picked about average, but didn’t get all of his workers for several rounds too long. Sure, there are some interesting decisions and choices, but you can’t have cards hand out varying degrees of bonuses that swing the game by 0-3 points in a game that only goes to 20 points. If a medium length game includes luck elements that swing the game by more than 10-20% there is something wrong with the game. Binyamin and David believe that the solution should include drawing 2 or 3 cards and keeping 1. That will certainly help. But the game would have been better if there were NO cards, and instead you had to assign workers to move up on different colored tracks to gain increasingly large benefits (some obtainable by only the players who got there first). I could be convinced to try this again, but it doesn’t seem to offer much in the way of reward for better play. These two played this instead of joining us for Viticulture. Nadine writes: I had played this at bgg.con last year, where it took us four turns to guess each of our three characters, and three turns to guess the final set of three. It’s a cooperative game with some individual scoring mechanics. I decided to be the ghost who gives clues, the others hadn’t played before. The ghost provides clues in the form of Dixit-like cards, most of which don’t match each person’s murderer, weapon and room that they need to guess. The main thing that messes people up is trying to figure things out collectively, Nisan would have guessed his cards earlier if he hadn’t listened to everyone else. On the last turn they got everything except Gili’s weapon, though she and two others had been discussing the correct one. I didn’t notice early enough that one of the rooms wasn’t out, Gili had inadvertently mismatched the card numbers initially and no one could see the cards I had, so that caused a setback. Even though we were out of rounds, we played the second part where they guess a set out of four from three cards I give. They all got that right on the first try, so overall we were close. It’s fun but giving clues is frustrating because I have limited choice of cards, and most don’t match, or match multiple options. I don’t know how this went. 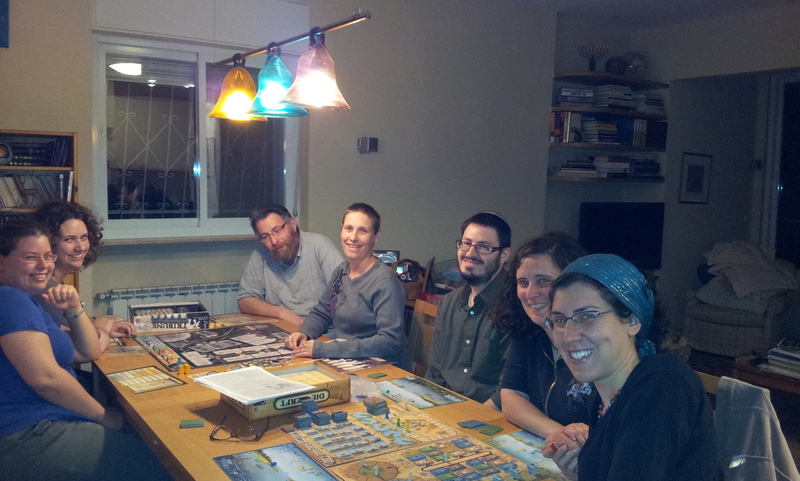 Nadine writes: Gili and I like this game a lot, and enjoyed playing again after it having been in Ra’anana for a while. New to Roman and Shalom. We played with the easiest victory conditions – three. Which means that luck, such as Roman starting with the purple leader in his hand, is almost an unbeatable advantage, because if he gets the faction, he gets one victory condition straight off. And that faction ties into getting a second victory condition – a Tribune, which Roman got quickly. He played well, taking Senators right away and paying to protect them. Then he only needed 5 more laurels, which took him two more rounds. I was close, third round I took the purples and got the favor of the gods, and Senators with a leader which gave me an additional faction card, so I had five out of six, and I got a Tribune. If yellow cards had been on the board I would have tried for those, which didn’t require much to take over, except Shalom also went for them, and I wouldn’t have beaten him. And even if I had gotten the last faction card, Roman would have won the tie with higher value laurels. Shalom ended with one win condition, Gili with none, usually she does well at the game. First play for Shneur, who had played Dominion many times. This game is a pain to set up. However, it is a far better game to play when you DON’T know the other players’ scores. There is no tension, otherwise. Gili told Yossi about our group. I thought he might be joking when he said his job is manager of ticketing for the light rail. I asked if he was on tranquilizers, he said ‘you have no idea’, but I think we can all imagine. One issue predates his job – there was no metric mandated to the vendor for the time it takes to get a ticket from a machine. A transportation worker in Europe suggested that City Pass prepare the system for an attack from Iran. Right. I taught this to Josh, then Gili arrived in time to join. The luck seemed pretty evenly distributed. We got better at the trade options. For the first time, we played with the Victory Point system, instead of Victory Conditions. The game ends when the first person gets 6 faction markers, and you get points for unlimited numbers of items except tribune and favor, such as 1 point for 10 coins. It’s a different way to play, I think it makes winning factions a bit less important. Everyone thought Josh had it in the bag the whole game because he won and held a lot of factions, and was the only one to get a tribune. I wasn’t so sure, I thought I had a chance, but wouldn’t know til the end. I concentrated on getting points, including laurels which are 1 point each – I had 16; I reconquered the yellow faction to get 3 laurels from it with the zero, which also let me buy a third legion, and the difference between a scroll and tribune is only 4 points. I won purple and senators first round, but couldn’t hold them for the second round. Josh had a lot of high cards to keep his 3 factions, including the proconsul and orange for money. That’s another difference playing this way, it’s harder to tell how everyone is doing because it’s closer. Even if we knew each of our points going into what could be the last round, it might not have mattered. Josh could have decided not to end the game, but you get two points for ending it, as well as the faction benefits. First play for me and Yossi, who did a good job. He was fighting with Josh for control of buildings, and just managed to squeak by. I put 5 gold on the printer almost every time, Yossi won it twice which helped him with points. The game feels like placing in the Castillo in El Grande every turn, and like playing roulette. Which I don’t really like. There’s a lot of gambling, some strategy. And interesting decisions at the very end, depending on the board situation. The other three all played well. OK, three and a half. We had to go to two tables. Daria is a friend of Roy’s, Cliff is mostly a wargamer who is raising his own game group so he doesn’t come often. We sorted and dealt David and Goliath, but stopped when more people showed up. They picked this because it was five-player, I switched to Shipyard so Josh could teach and play it. From partially listening to Josh’s explanation, Jon and I got the impression that we would teach and play differently than he did with new players; Daria and Roy are new to Eurogames. When Erik arrived, Sara and Elisheva left the Puerto Rico explanation to teach this to Erik. They had to stop before finishing the game because Elisheva had to leave suddenly. Josh taught this card game that he brought, he comes equipped with a bag of games. This game took longer than all the other games together. The explanation took a while, and we had to look up rules even though we’ve played before. It’s long with 4 players, and the bonus cards work differently, you lose two after two rounds. I thought I was doing worse than I was, the three of us ended up pretty close. Cliff would have had 63 but we let him switch bonus cards for the logical one because it was his first play. Gili did well with her bonuses and ship points. Jon spent time thinking everything out, and we could see it was paying off so we knew he was going to win. He had great bonus cards with good synergy, the 4 points for navigation cards, he had five, and the zillion points for lots of ships; in addition to playing his bonuses well he says he also had luck in addition. Cliff said the game grew on him, it’s fiddly but also challenging. 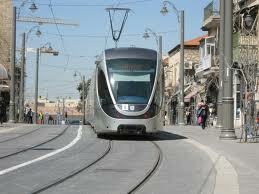 Except for Moshe, who works with America, the large crowd was a coincidence. 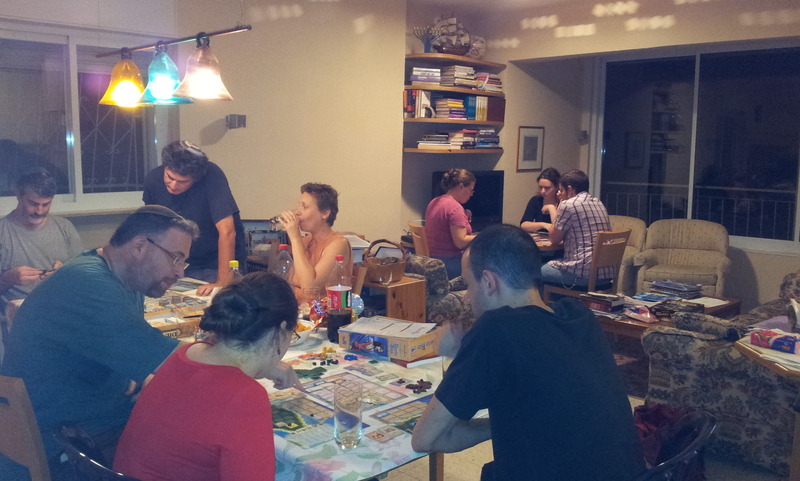 We went from two to three then four players during the first round as people arrived. Advanced game, I finished first for once. First play for Josh. First play for Erik. Kate and I tied with the 4 winning conditions, though she actually had five, and won on points, Erik had three. Kate and Erik didn’t totally get the either or on the higher cards or total. I got purple on the first round with a zero, I also had a zero in the red. Everyone got two factions first round. Same players as Revolution, Josh won. Emily brought this and taught it, first play for everyone else. Worker placement on what Emily says is an inaccurate map of ancient Israel. First play for Erik, who caught on to the strategy well. Kate had around 16 menorahs, and despite our efforts we couldn’t stop her from getting candles. A lot of disasters showed up, Kate used the ark to cancel some. Slow on the auction tiles the first two rounds; the third round went super quickly. Josh brings a whole duffle bag of games. We told Josh about our meetings when we ran into him at Bigor and gave him a ride back, he was in Emily and Eitan’s RPG group, and is a demonstrator for Steve Jackson games. Instead of starting with a filler while waiting, Josh taught Revolution. They had begun playing by the time the others arrived and I started explaining Shipyard; between the explanation and playing that took us all evening. I’ve been moving books around to make space for games; if more people show up we’ll need another table. A Steve Jackson game with a board that reminded us of Clue. They finished Tribune as we were getting to the end of Shipyard. Gili taught the game, first play for everyone else, they played with victory conditions which included a mandatory tribune. Elisheva and Gili both finished in the same round, the tie breaker scores were 26 for Elisheva and 24 for Gili. They liked the game. First play for Josh, they played with random chips. I taught this, first play for the others. It takes a while to explain everything so that they understand before the game starts, and it takes time to set up. I wasn’t doing well from the beginning, I didn’t concentrate enough and didn’t play strategically. I did explain pretty well though, and gave Eszter good advice, so she took things I wanted right before I could, like the card for not needing a propeller. The contract cards drive strategy and help players focus. I sailed 4 ships for my cards, everyone else sailed two. The game is more challenging with 4 than 2, it’s harder to get the actions you want, or be in position to get what you need. *Emily didn’t hear or remember that you couldn’t pay to move on the train rondel; towards the end of the game she moved one to sell 3 coals at 4, and we didn’t notice. We couldn’t undo the action because she wouldn’t have gone there if she had known. I had gotten a two coal card in anticipation, though I don’t know if I would have been able to go there at the right time. But she played very well, and most likely legally otherwise, so we’re giving her the win.